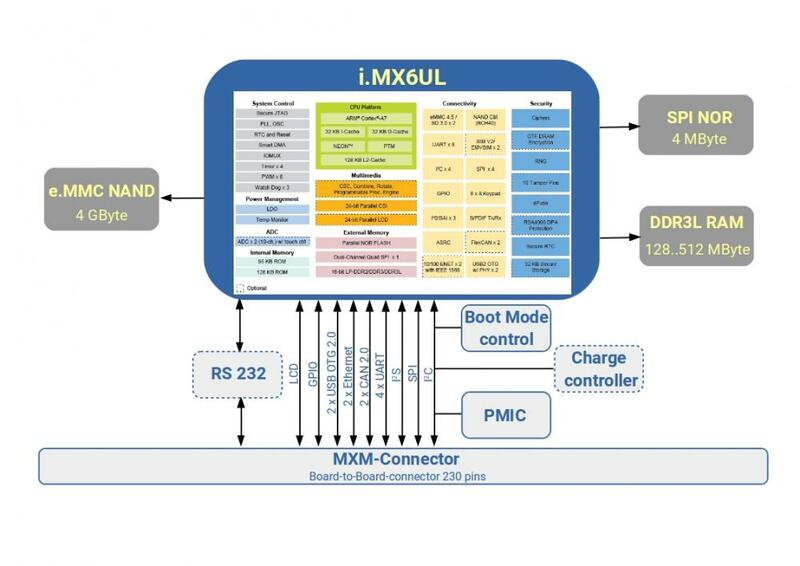 The M6UL module is the drop-in replacement of the M28 module based on the i.MX 6UltraLite processor by NXP Semiconductor. The i.MX 6UltraLite processor is a high-performance, ultra-efficient processor family featuring an advanced implementation of a single ARM ® Cortex ® -A7 core. This processor boasts of a premium feature set that includes: flexible boot options, hardware-enabled security features, connections to a variety of popular interfaces.